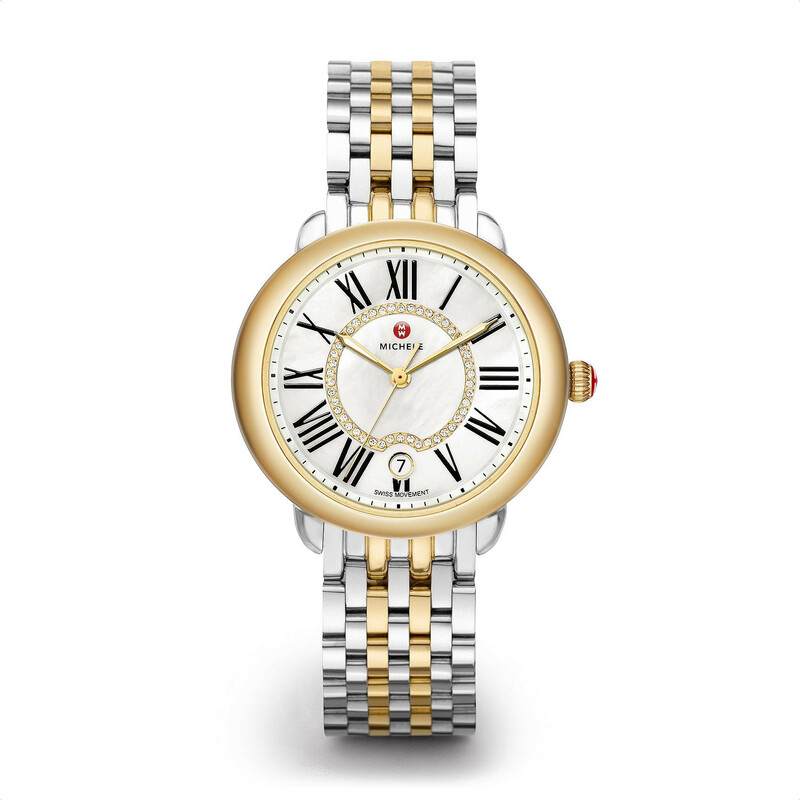 This Michele watch from the Serein 16 collection will lock down your stylish look. Set in a stainless steel case with gold-plated accents, a luminescent Mother-of-Pearl dial features a white diamond ring, black Roman numerals, and a date indicator window. 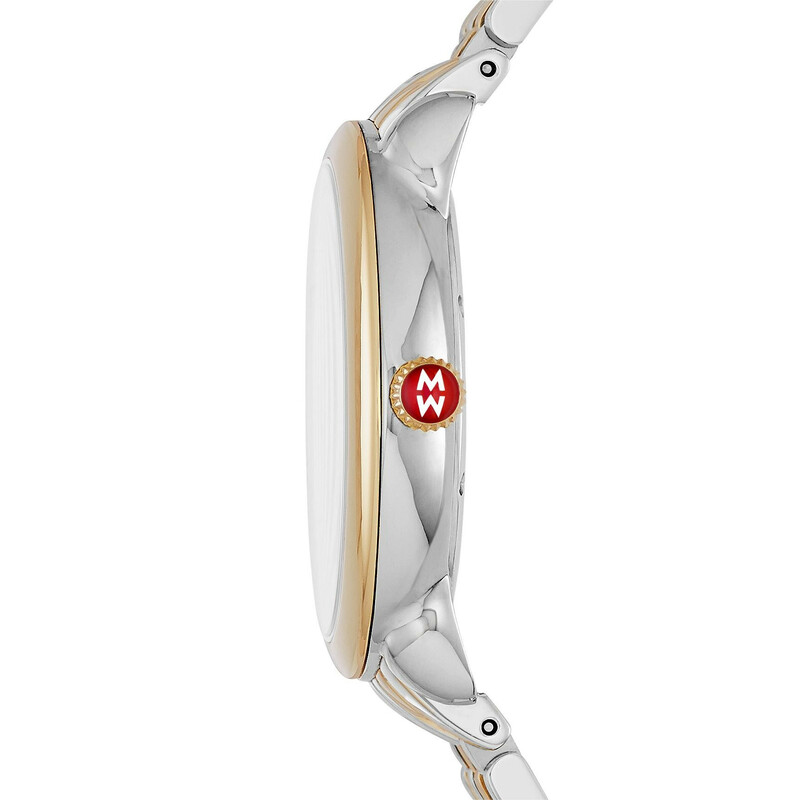 This Michele watch is bundled with a 7 link stainless steel bracelet with yellow gold accents, but it will accommodate other 16mm interchangeable watch straps. Enjoy an alluring Michele timepiece! Additional Michele watch straps are sold separately, and JR Dunn has a 10-day satisfaction guarantee for all Michele watch products.